This 20x31x9 custom garage building features two 8×8 rollup garage doors, two walk-in doors, and horizontal side panels. 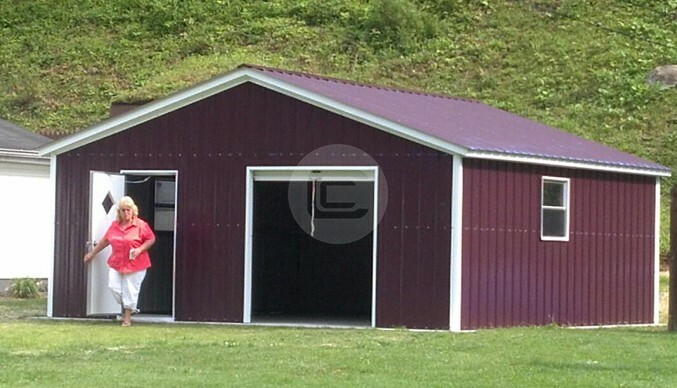 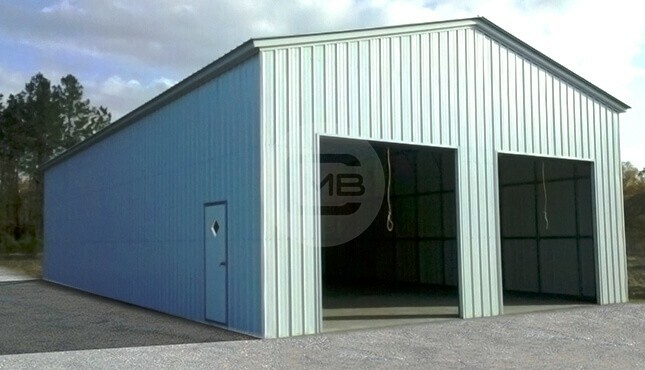 With its vertical style roof and 14-gauge steel framing, this high-quality metal garage is equipped to withstand intense weather, including high winds and heavy precipitation, in just about any part of the country. 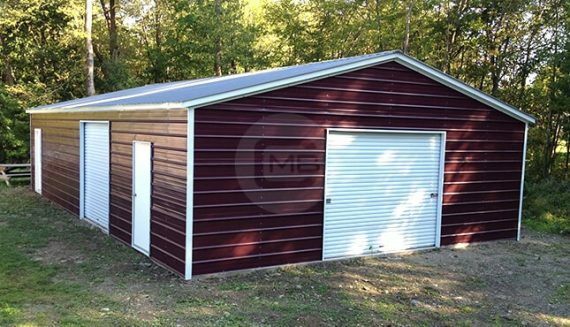 This steel garage has a great layout with multiple access points for convenient entry and a wide range of possibilities.